Wedding Invitations and Bomboniere - SYDNEY SUPERSTORE! Trusted by over 20,000 Brides since 2001! Welcome to Truly, Madly, Deeply... with 16+ years experience we are one of the most trusted names in the Australian Wedding Industry. 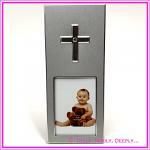 We specialise in Designer Wedding Invitations & Bomboniere and other special events such as Christenings. Your invitations can be made by us, made by you or made together. You can choose to have use take care of everything or you can just purchase the materials and Do It Yourself. You can visit our Retail Showroom in Caringbah, Sydney or shop online and get Express Delivery direct from Sydney based warehouse. Don't wait months for your order to arrive - get it now!